In our research for our Icelandic honeymoon, we have come across so many interesting things about this wonderful country. 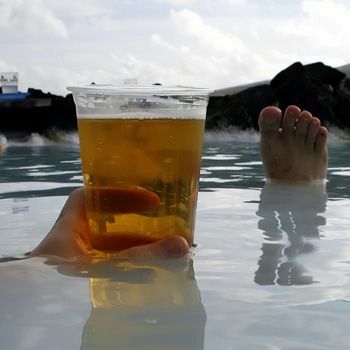 Most of this info came from WhyGoIceland.com's list of 25 fun facts about Iceland, and I was so fascinated by all the facts that I just had to share some of them with yall! Just yesterday, there was an article in the paper about how Iceland is taking submissions over the next few months for new names.
. . . in order to make it more tourist friendly. One of the ideas was Niceland. Beer was banned in Iceland from 1915 until March 1, 1989. Actually all alcohol was banned from 1915 to 1935, but when Prohibition was repealed, the beer ban stayed. Though the country’s unofficial national drink, Brennivin, is called “the black death” and contains 40% alcohol, some Icelanders feared the dangers of beer. 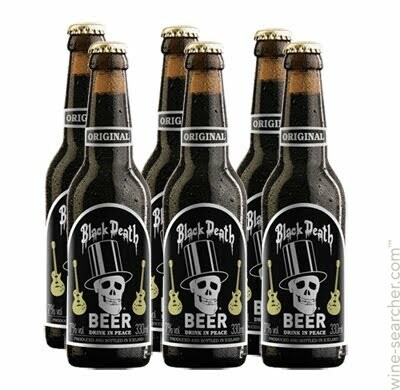 Since the repeal of the beer ban, Beer Day has been celebrated on March 1. Tipping is not necessary in Iceland as it is included in the total bill. However, contrary to popular belief, a service person will not be insulted if you offer a tip for exceptional service. 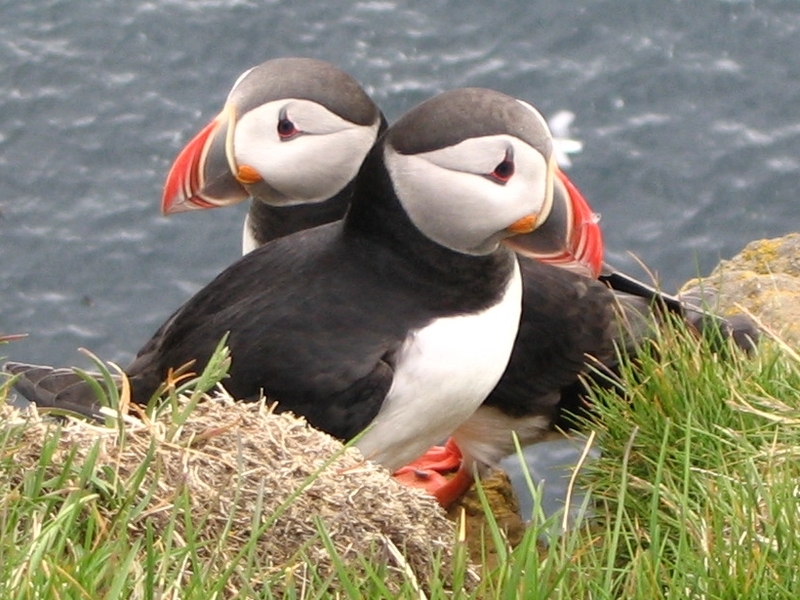 Iceland is known for some odd delicacies like whale, puffin, boiled sheep’s head, ram’s testicles, horse, and harkarl – a kind of fermented shark. But Icelandic food is also typically very healthy and all-natural, like skyr – a thick, slightly sour yogurt that is very high in protein and nutrients but virtually fat free. 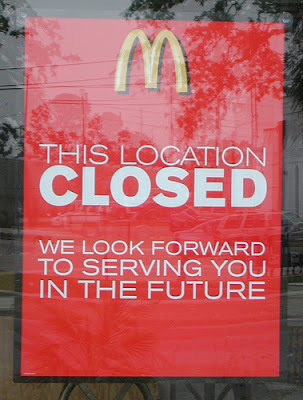 The country doesn’t even have a McDonald’s anymore (though that was more about cost than being health-conscious). The last of the three McDonald’s restaurants in Reykjavik closed in 2009. I'm not sure how brave I would be when it comes to eating Puffins or fermented sharks. But besides that - a honeymoon in Iceland? Basically sounds perfect. I just found your cute blog, and I'm so happy to be your newest follower! 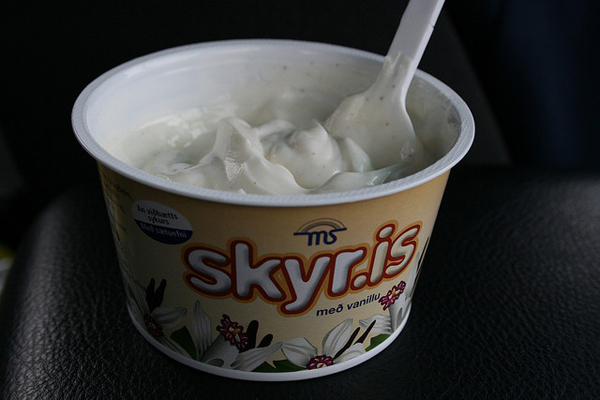 I love skyr. I eat Siggy's organge ginger skyr every morning. Boom, its like an Icelandic breakfast trip every day. In other news YOU GET MARRIED THIS WEEK. AHHHH!! I am so PUMPED FOR YOU!! And you're a Texan. Freaking come see me already! So excited for you and your icelandic honeymoon!! Sounds amazing and can't wait to see photos from Iceland and your wedding!